Sometimes, keeping track of your investment portfolio performance is hard work. Most of us use excel sheets to record down our stock purchases manually. Then there are dividends too which we need to keep track. Just this year, I started using a platform called SGXcafe which to me is quite intelligently done. Many people including bloggers have started using this platform to track their portfolios. It even gives me an update of my portfolio performance every day through email. This is not a paid advertisement for the platform. I'm reviewing this base on my own experience. Furthermore, it is completely free to use and I heard the person who started this paid quite a lot of money in order to keep it alive as it has some issues previously. To spend money on building a platform and still offer it free to use is really very rare nowadays. So what features does it have? Firstly, it has the portfolio tracker which intelligently calculates your investment portfolio XIRR. You can input the stocks you've bought and it will calculate your investment returns base on historical values and even add in the dividends you received from the time you bought the stock until now. It also has various stock screeners which is unique from other platforms. The owner of the website has included screeners profile which he is using himself. This includes screeners on growth and income stocks. He also has a screener on dividend strength which forecast how likely the company is able to give the same or more dividends next year. The model does this by learning from history how stocks with certain traits found in its financial statements would influence its dividends payout the following year statistically. Under the dividend strength, stocks which are 90%-100% more likely to give the same or more dividend next year includes Capitaland Mal Trust, Frasers Centrepoint Trust and also banking stocks like DBS and OCBC. Another interesting part of this platform is the ability to share your portfolio with other people. There are many people who have already shared their portfolios and how it has performed. You can click here to see the shared portfolios. Overall, this is a simple and easy to use platform. Its free to use so no harm giving it a try if you're an investor also. Should We Pay Down Our Mortgage As Soon As Possible? Most of us will dislike debt. It takes money from us every single month. For our home mortgage, it can be thousands of dollars a month which can be quite a significant sum of money. If mortgage is such a pain, should we use the extra savings we have to pay it down faster? Let's explore it in this article. In Singapore, we can use either cash or CPF in our OA to pay for mortgage. The cost on a mortgage is on the interest. Like credit card which charges an interest if we didn't pay on time, likewise mortgage loans charges an interest because it is a loan in nature. Most mortgages will start with around $250,000-$300,000 if you buy a 4 room HDB flat. The interest rate if you take up a HDB loan is 2.6% for 25 years. Did you know for a $300,000 loan at 2.6%, the total interest you would have paid is $108,181.66? If we can shorten the loan to 15 years, the total interest paid would have decreased to $62,594.59. This would immediately save us more than $40,000. Should we use our cash to pay down our mortgage? Using cash to pay down our mortgage may be a good choice. Right now, the money in most of our savings account do not earn more than 2.6% interest which is the interest of the HDB loan. Paying it down and reducing the loan tenure will save us more money. As mentioned earlier, it can be as much as $40,000 savings just by reducing the loan tenure by 10 years on a $300,000 mortgage. However, paying down cash means we have lesser cash flow for emergency or anything which you need the money for. It is always important to plan in advance before using cash to pay down our mortgage especially when its a huge sum of money. 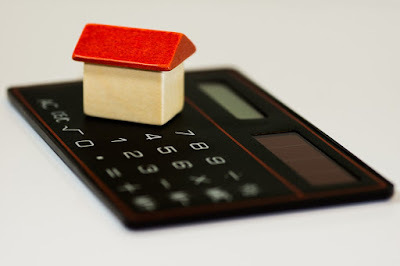 There are various ways to save on the interest we pay on our mortgage. We can reduce the loan tenure which means paying more per month for our mortgage or we can pay lump sum every year to reduce our mortgage amount. We can also refinance to a better package which is lower than 2.6% or any lower interest rates. Many banks actually offer loan packages which are less than 2% now. A lack of understanding of how interest rate works will make us poorer. Compound interest works its magic while amortisation on housing loans means interest paid is lesser than what is shown. For other loans such as car loans or credit card debt, the wisest decision is to pay it off or even better don't take any of such loans or owe the credit card company any money. Car loans are not amortised and is different from housing loans so the interest paid is always much more than housing loans. Credit card interest is even more scarier as it compounds at a very high rate. Have you made the right decision today? Its time to get higher interest rates for our bank accounts now. Interest rates on bank accounts have been very low the past few years at an average of 0.15%. But, all these will change soon as in the past few months, many banks have started to offer good interest rates on selected savings account. This is in line with what the US is doing, increasing interest rates slowly and steadily. CIMB savings account lets you earn up to 1% without any spending required. They have 2 good savings account namely CIMB fast saver account and CIMB StarSaver account. For CIMB fast saver account, you just need to maintain a minimum balance of $1000 in the account and you can earn 1% on the first $50,000 and 0.6% on any amounts above $50,000. No other conditions required. For CIMB StarSaver account, you just need to maintain an incremental deposit of S$100 or more monthly to enjoy an interest rate of 0.8% p.a. on the entire account balance. OCBC has the highest and most attractive interest rates so far. The OCBC 360 account lets you earn up to 3.25% on the first $60,000 in your account. Just by crediting your salary of at least $2000 and you get 1.2%. Pay any 3 bills and you get additional 0.5%. Spend at least $500 on your credit card and another 0.5% is given to you. Its easy to get more than 2% interest through the OCBC 360 account. Furthermore, with their credit cards which has attractive rebates such as the OCBC 365 credit card which gives us up to 6% cashback on dining, 3% cashback on all online spendings, groceries and telecommunication bills and up to 18.3% on petrol, we can enjoy even greater savings on our daily necessities. Lastly, we have the BOC smart saver. This savings account is added in due to the suggestions of readers who brought my attention to it. You can earn up to 3.55% interest on this account. Earn 0.80% p.a. when your company credits your salary of at least S$2,000 or 1.2% with salary crediting of more than $6000 into your BOC MCS Account. Earn 0.35% p.a. when you transact 3 bill payments from your BOC MCS Account. Enjoy 0.60% p.a. Extra bonus interest when you have fulfilled at least one of the requirements for either Card Spend, Salary Crediting or Payment bonus interest. For me, I have a special corporate account under Standard Chartered Bank which gives 1.4% on any amount in that account. That account is good enough for me as of now. It really makes a difference as I can get much more interest on a monthly basis. Its much better than leaving my money in an account which only gives 0.15%. For $50,000, the interest is $700 per year on 1.4% but on 0.15%, the interest is only $75. This extra few hundred dollars is enough to go on a short holiday trip or offset some of our expenses. Being smarter with our money is not too difficult. Try one of the accounts above and take the first step to make money work harder for you.